A Reasonable Plan And A Narrow Escape, #Friday Fictioneers – What's for dinner, Doc? Admittedly, Sara had been distracted by his charming accent and boyish grin, but in her defense, the bulge in his front pocket did suggest a USB drive. 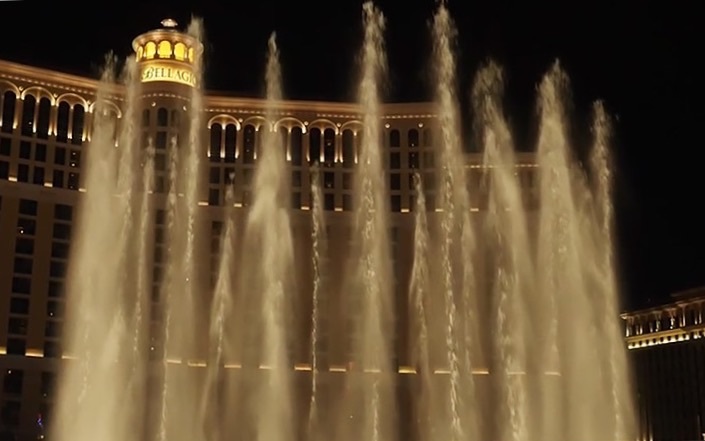 Joining him in his room overlooking the Bellagio fountains seemed like a reasonable plan until he captured her mouth and pawed at her zipper. Seductively slipping her hand into his empty pocket it became clear that he was not her intended contact. Making her escape, Sara untangled herself from his slobbering and shimmied out the bathroom window. 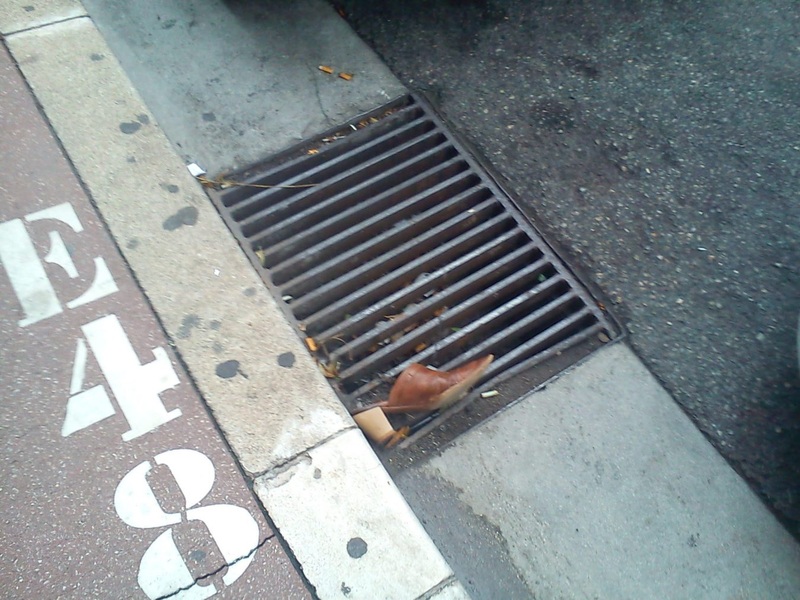 It occurred to her, looking down at her shoe on the Vegas Strip, “Hotel ledges always look wider on the big screen”. What happens in Vegas, stays in Vegas but don’t escape without reading more Friday Fictioneers here. Don’t you think Roxy should go to Vegas? She’d be hilarious in big hair, sequins and stilettos. Shaz in a mini-maternity dress would be a riot. I would have to go to Vegas on a research mission – sigh! Very good reason to drop a shoe somewhere I think. Nice story. Poor Sara. She always seems to have the wrong shoes for her mission. Me neither. Sara is my alter ego, although I would hope that I could tell the difference between a USB and a “man’s calling card”. Ha ha, I just made that phrase up. Thanks Courtney. That hasn’t worked for her. That usb drive must be veeery important. Fun vignette. Probably critical international secrets. Too bad she missed her real contact. Poor Sara, bless her heart. That made me laugh. She must be very focused to associate a bulge in a man’s front pocket with a usb drive. Fun story. She’s a little naive if she can’t tell the difference at a glance. Back to anatomy class. Funny and a bit smutty. Funny and smutty! That describes Vegas perfectly. I’m glad you liked it. Oops. Perhaps there should’ve been a code word. I’m terrified of heights so being out on that ledge looking down at Las Vegas got to me. Filled with darkness and wit — I like it! Well done. Thank you. Thanks Matthew. Sara does seem to borrow trouble. Is that a USB drive or are you just pleased to see me? Ha ha. I think Sara needs to raise her standards then. Thanks Mick. Sara seems to be taking all this in her stride. I’m sure when you’re actually on a ledge high above the street, it does suddenly seem smaller. Great minds….. I’m sure Sara has a plan. Stay tuned. This really made me laugh Tracey. I’m glad. Laughter is good medicine. Thank you Louise. Yes, especially since poor Sara didn’t know what to do with the “non-flash drive”. Yes, a man’s calling card. ha ha I crack myself up. You are a hoot ! I hope she wasn’t in high heels up on that ledge. Something tells me she was way up there, too. A charming accent will get you anytime. Nice one, Tracey! Of course she was in high heels. I’ve just seen the latest James Bond movie, and I think he could teach Sara a thing or two about leaping about on rooftops – probably he could also teach her how to recognise a USB drive. Love your story, Tracey. I haven’t seen the new movie but James Bond always makes me want to be a spy. I think Sara is closer in nature to Agent Cooper -Melissa McCarthy in “Spy” than to Ms. Money Penny. Actually I created Sara before I saw “Spy”. Thanks Margaret. Oh, the Perils of Sara. I have a feeling she gets herself in these predicaments regularly. What a fun piece. Yes Poor Sara, bless her heart, she’s probably the worst international spy ever. That last line cracked me up!!! Oh, this was so entertaining. Great story, Tracey! I’m glad you liked it. Now I have to write Sara off of that ledge. I guess I’ll have to put a warning on the post when I write her off that ledge for you and Rochelle. Thanks for reading Patricia. oh la la, was it the flash drive that interested you or the thrill of hanging from a precarious ledge? I think I would have stayed inside with the boyish grin personally.